Marketing Blogs:Investing in stocks or mutual funds which has more profit!! Reasons why an individual may choose to buy mutual funds instead of individual stocks. The most common is they offer diversification, convenience and lower costs. Many agree almost all of the advantages of stock portfolio diversification (the benefits derived from buying a number of different stocks of companies operating in dissimilar sectors) are fully realized when a portfolio holds around 20 stocks. At the point that a portfolio holds 20 stocks from 20 companies operating in different industries, almost all of the diversifiable risk associated with investing has been diversified away. The remaining risk is deemed to be systematic risk, or market-wide risk, which cannot be diversified away. Since most brokerage firms having a minimum share purchase requirement, it's hard for many investors to afford 20 different stocks. 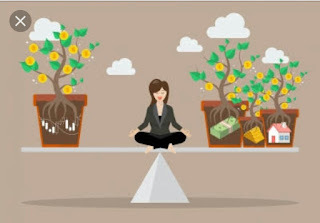 The mutual funds is undeniable and is surely one of the main reasons investors choose them to provide the equity portion of their portfolio, rather than buying individual shares themselves. Determining a portfolio's asset allocation, researching individual stocks to find companies well positioned for growth as well as keeping an eye on the markets is all very time consuming. People devote entire careers to the stock market, and many still end up losing on their investments. Though investing in a mutual fund is certainly no guarantee that your investments will increase in value over time, it's a way to avoid some of the complicated decision-making involved in investing in stocks. The trading costs of buying and selling stocks are often prohibitively high for individual investors. So high priced in fact, that gains made from the stock's price appreciation can easily be canceled out by the costs of completing a single sale of an investor's shares of a given company. With a mutual fund, the cost of trades are spread over all investors in the fund, thereby lowering the cost per individual. Many brokerage firms make their money off of these trading costs, and the brokers working for them are encouraged to trade their clients' shares on a regular basis. Though the advice given by a broker may help clients make wise investment decisions, many investors find that the financial benefit of having a broker just doesn't justify the costs. It's important to learn investment before doing mutual funds as their are many disadvantages too.